I don’t know about you, but in my life, I have found that when the Lord teaches me something new, He very quickly blesses me with an opportunity to test my understanding of that lesson. Sometimes I pass, but usually just barely. There’s always room for improvement. And more often than not, buried in that test are additional teachings that will help me with those efforts to improve. Such was the case with the disciples who followed Christ during His mortal ministry. In my last post, I shared some insights I was blessed with as I studied the miracle of the loaves and fishes. Immediately following that miraculous solution to an impossible problem, the Lord blessed them with an opportunity to practice what they had learned. And for the rest of us, He has blessed us with an opportunity to learn even more about how we can accomplish seemingly impossible things as we develop and demonstrate faith in Jesus Christ. If that’s not a metaphor for life, I don’t know what is. How often do we feel that way? We’ve just had an incredible experience with the Lord. Our testimonies have been strengthened. We head off eagerly toward our next task, and suddenly, a storm rises up. Life gets a little contrary. And this time, the Lord isn’t sleeping nearby, and we can’t just wake Him up and ask Him to speak peace to the wind and the waves. We know we’ve been saved by the Lord before and we’re sure He will save us again, but right here and right now, we feel alone and scared. We even try to exercise our faith and call out to the Lord in prayer, but for whatever reason, the night gets later and later and there appears to be no relief in sight. The best we can do is try to keep the boat afloat and hope that we’re still alive come morning. Then, in the “fourth watch of the night [between 3 and 6 am] Jesus went unto them, walking on the sea.” The disciples are so shocked to see someone out there, walking on water, that they think it must be a ghost. And they are terrified. Can you blame them? No one had ever walked on water before. We humans can’t do it. “It must be a spirit” isn’t an entirely unreasonable conclusion. When we face storms in our own lives, we don’t always recognize the Lord coming to save us, either. Sometimes, the solutions God gives us are hard to see as solutions. Or they feel impossible. They’re unusual or unconventional. They require us to learn things, do things, and accept things that are difficult to learn, do, and accept. They might even push us outside of our comfort zone, and that can be terrifying. The disciples weren’t seeing a ghost. Christ called out to them to let them know it was Him. Likewise, when we see our salvation coming for us across the water and it has us shaking in our sandals with uncertainty and fear, we can take heart in the fact that Christ will identify Himself to us, too, through the power of the Holy Ghost. 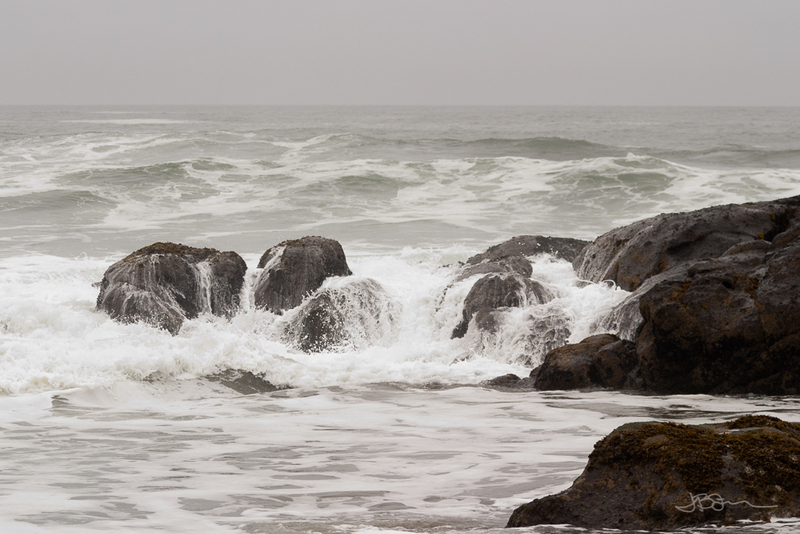 When Peter hears the Lord calling out to assure the disciples, he responds with, “Lord, if it be thou, bid me to come unto thee on the water.” I sometimes find myself echoing these words myself—“Lord, if this is really you speaking to me, help me do this hard thing”—and I often feel guilty about it. Am I doubting? Unfaithful? Seeking for a sign? Am I looking for validation for my list of reasons why I can’t do what the Lord has asked me to do? But Peter’s reaction doesn’t seem doubtful or unfaithful to me. If anything, it’s confident. To our knowledge, the idea that what he was about to do should be impossible never even crossed his mind. He simply saw Christ—his friend, his hero, and his mentor—walking on water, and he had no doubt that he could follow His example, even in this impossible, unusual, unconventional thing. All he needed was confirmation that this was right, and that is a righteous and holy request. We are asked—nay, exhorted—to pray for confirmation that the Book of Mormon really is the word of God. We are repeatedly told to ask for revelation so that we can receive it. The Lord has taught us to study things out in our mind and then ask if they are right. The trick is to remember that when we receive that confirmation, we must obey. We can’t sit there forever hemming and hawing and debating with ourselves whether we really felt what we think we felt. We have to stop questioning whether what we thought we heard was really revelation or just our own thoughts. We have to stop being paralyzed with fear and indecision, and we have to act on what we’ve been given. My new friend Allie White said something that really resonated with me: “Learn to practice radical and rapid obedience.” Too often, we sit there wondering if we’re doing the right thing when we aren’t actually doing anything at all. But not once—not once—has the Lord let someone dig a hole for themselves when they were just trying to be obedient. If we are honest in our efforts to follow Him, He will magnify even our mistakes to work for our good. We cannot go wrong trying to obey the Lord, but we can miss out on certain opportunities if we hesitate too long. Imagine how differently this story might have played out if Peter had listed off all the reasons why he couldn’t walk on water. And now, imagine how different your life might be if instead of holding back, you jumped at the opportunity to follow Christ. So yes, pray for confirmation. The Lord expects that. But once you get it, don’t hold back. Trust Him, and step out of the boat. Peter did just that, and he walked on water. 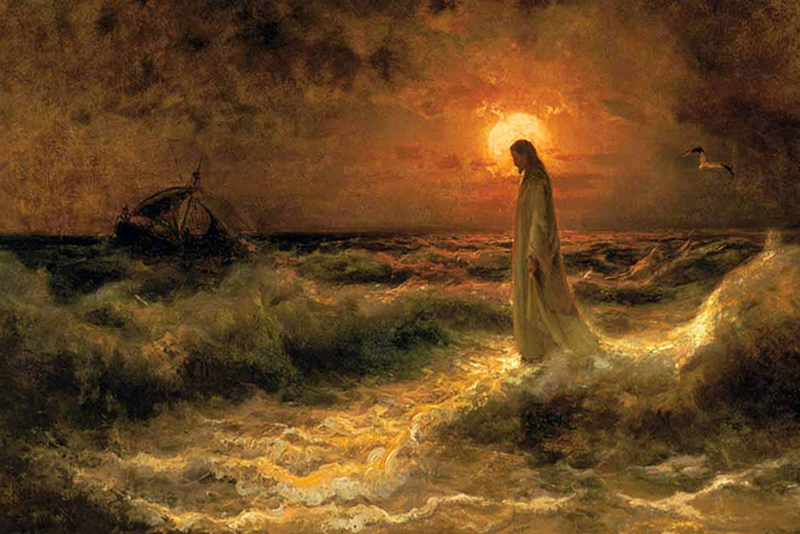 As Peter walks across the water toward Jesus, he feels the storm raging all around him. Overcome by fear, his faith falters and he starts to sink into the water. We often treat Peter’s response lightly, like his faltering in the storm is a sign of weakness. Here’s the thing, though: we all falter. Life will rage at you when you’re trying to follow God. It’s guaranteed. It’s easy to feel discouraged and inadequate, and it’s easy to wonder if we’re really doing the right thing. I can’t count the number of times I’ve been inspired to take a big step in my life and think, “I can do this!” And for a while, I do. But then I start feeling the struggle again, and I flounder in frustration and doubt. And when Peter feels himself slipping beneath the waves, he does exactly the right thing. He doesn’t turn back. He doesn’t swim for the safety of the boat. He calls out to Jesus, who could save him in more ways than one. 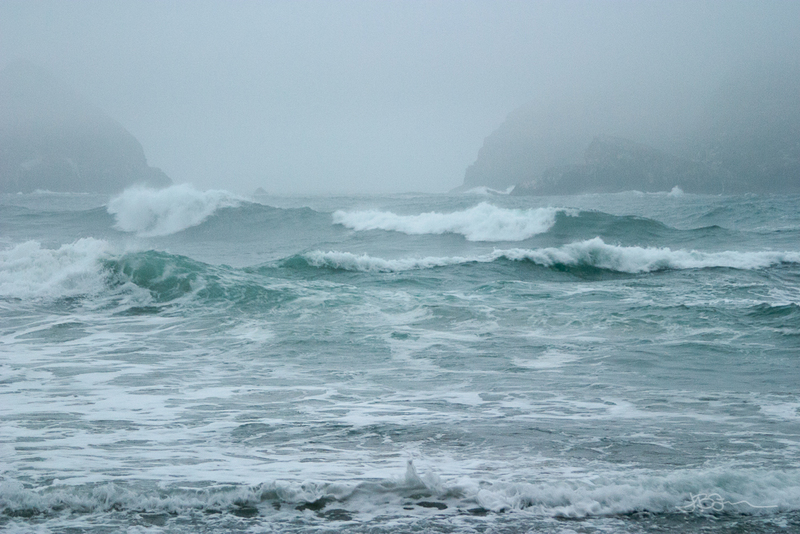 It’s interesting to note that after Jesus pulls Peter from the waves, the storm still didn’t stop. It continued to rage until they got back to the boat together. Not only did Jesus and Peter walk on water, they walked on stormy water. Imagine! Sometimes, we’re asked to do the impossible in less than perfect conditions, and the storm continues to buffet us even while we walk with the Savior. If life is hard, it’s not necessarily because you’re unrighteous or unfaithful. It’s just hard. But we can lean on the Savior for support, and we can trust Him to get us safely home. Just the day before, they saw Christ feed 5,000 people with five loaves and two fishes. Surely they must have known then that He is the Son of God—and yet here they are, proclaiming this as if it is a completely new realization for them. But don’t we do the same thing? How many times do we marvel at the goodness of God like it’s news to us? No matter how many times we experience blessings and miracles in our behalf, we somehow still feel surprised by it all. No matter how many times God opens doors for us before we even knew we needed them opened, we’re flabbergasted by His foresight and planning. No matter how many times we feel His love, we feel it like it’s the very first time. And the wonderful thing is that God will never stop amazing us. He will continually remind us of His divine power and loving influence in our lives. Every time we face a new, impossible obstacle, He’ll be right there beside us, teaching us how to invite miracles into our lives, giving us opportunities to practice and progress, and pulling us up out of the waves when we can’t do it on our own. For if there’s anything in this world that is really and truly impossible, it’s trying to do it all by ourselves. 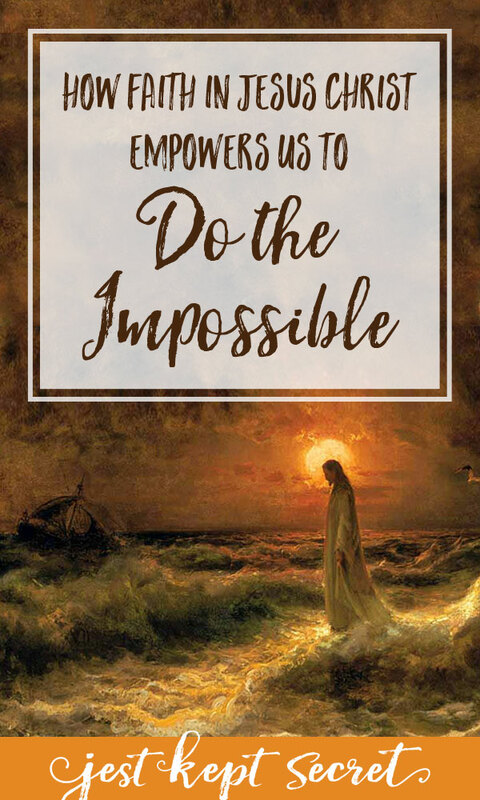 Only by calling out to the Savior and letting Him lift us up can we walk on water, in step with the Savior of the World, as we do the impossible. How have you seen the Lord helping you accomplish impossible things? I’d love to hear your story. Share in the comments below, or over on my Facebook page! And if you know someone who would appreciate this post, please share it. Thank you! Featured image: Detail of Christ Walking on the Waters by Julius Sergius Von Klever. Public Domain. “Cast Not Away Therefore Your Confidence,” Jeffrey R. Holland, BYU devotional given in March 1999.